The new G4 offers a unique moment to reassess and rearticulate what sustainability impacts matter to your company and stakeholders. Seize this opportunity to assess overall sustainability performance, free your company from immaterial sustainability issues, strategically refocus energy and resources on what really counts, deepen understanding of material stakeholders and supply chains actors, recalibrate sustainability communications, amongst other important potential value maximizing changes. The highly predictable structure of financial reports developed over the 500 years since Queen Elizabeth first ordered an audit of the Exchequer of England. For years, companies spoke to shareholders through annual financial reports. The structure of these reports is very predictable, providing an accounting of a company’s recent and current financial standing, as well as a sense of how future challenges and opportunities will be managed. 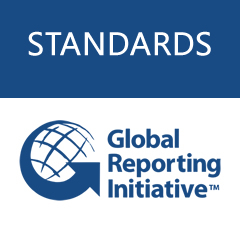 Not surprising, the global standard for sustainability reporting - the new Global Reporting Initiative G4 format – has taken two enormous steps towards bringing the robustness of sustainability reporting levels up to those of financial standards. The first step is a focus on materiality. Whereas companies once reported on long list of sustainability issues many of which were immaterial to a company in terms of risk, impact or opportunity, G4 is asking companies to focus their reports on what matters and where it matters: what matters to the company’s business, its sustainability impacts, its stakeholders, and where it matters throughout direct operation and through its supply chain. And while this allows companies to report on fewer issues, deciding what is material is a more complex task than responding to a list of indicators as was formerly the case. It has taken over 50 years or more for the accounting profession to develop robust “rules of thumb” for defining what is financially material. Much experimentation and work will be required to do the same for sustainability; particularly given materiality will need to be defined for many different indicators. The second step, more implied than stated, is that G4 is moving towards integrated reporting, or where sustainability performance is reported together with financial results. Therefore, it is not incidental that G4 also demands more specificity on how both materiality and reporting results were determined as a means to ensure greater credibility of reporting. Many companies recognize that integrating sustainability substantially into their business model improves performance, protects reputational assets, and wins the trust of shareholders and stakeholders, and that credible well-structured reporting is not just an issue of transparency but of urgent value to better sustainability capital management. Credible sustainability reports provide the information stakeholders need to make decisions about how to judge a company’s performance through to its impacts on supply chain partners and other stakeholders, where to invest, where to work and more. In the past, the focus of sustainability reporting was more about metrics - loads of data - with the new GRI G4 guidelines and the movement towards integrated reporting, the emphasis now it is on key issues and relevance to a company’s business. Leading companies must demonstrate a coherent and sustainably strategy that addresses material issues and delivers long-term value, backed up by metrics that report progress along the way and guide strategic resource deployment. More directly: stakeholders will define your performance for you if you do not do so first in a credible, robust manner that anticipates mutually material interests. “Relegate your 'report' into a mere repository of information, and enter a permanent 'reporting' mindset. Sustainability will be coordinated through billions of people talking to each other, and talking to your brand. Relevance and responsiveness will be crucial. Current reports are rarely either. In this world social media could kill sustainability reporting. Or save it. A sustainability report in this respect by definition should be an engaging means to communicating progress and inviting dialogue with the end goal of creating value and more sustainable outcomes for business and its stakeholders alike.